Cellebrite is law enforcement and digital intelligence leader that manufactures transfer, analysis & data extraction devices for mobile & smartphones. Cellebrite is the division of the Japanese Sunsoft Organization. DigitalPlus is one of the leading industry-proven law enforcement Cellebrite Pakistan equipment suppliers serving since 1998. DigitalPlus provides a large scope of possible options for extracting, decryption and analyzing the data on mobile electronic devices, like smartphones, tablets, GSM mobiles, and GPS locators. These types of devices are common and used worldwide. Cellebrite is a global leader in digital intelligence that helps its customers catch and reveal insights from the digital world to make our society safer from bad peoples. Cellebrite makes sure that our technology is in right hands. Latest generation mobile forensic resolution by Cellebrite Pakistan, allows the foremost technologically next level extraction, analysis, decoding, and coverage of mobile information. It performs logical, physical, password extraction and file system of all information (even if permanently deleted/removed). Cellibrite provides the widest range of devices also feature phones, smartphones, transportable GPS devices, tablets, and phones factory-made with Chinese chipsets. 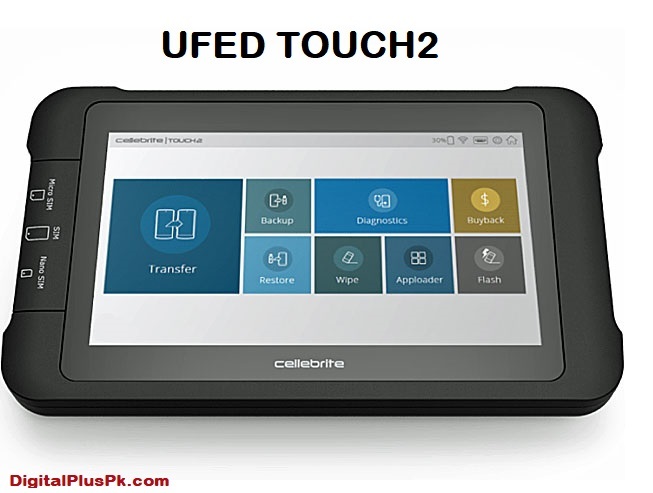 We are providing most advanced Cellebrite UFED which is a mobile forensic series. There are many products in the market but DigitalPlus is providing the most advanced digital intelligence technology by Cellebrite in Pakistan. It is Cellebrite’s fifth-generation standalone mobile forensic device. It is a high-performance solution for today’s high-performance devices. Therefore its mobile device complexity is on the rise and when criminals use them, the law enforcement agencies require powerful tools to extract as much evidence as possible. an intuitive touch screen, UFED Touch2 is designed for speed, usability, and portability for easy use in the lab and field. 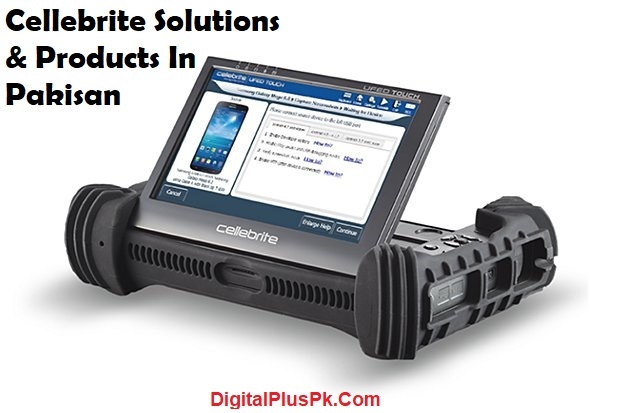 It is available at Cellebrite Pakistan with either an ultimate or logical license and includes a suite of supporting software applications, peripherals, and accessories. Its most advanced features resulting in three times faster content extraction and enabling agencies to solve crime faster.